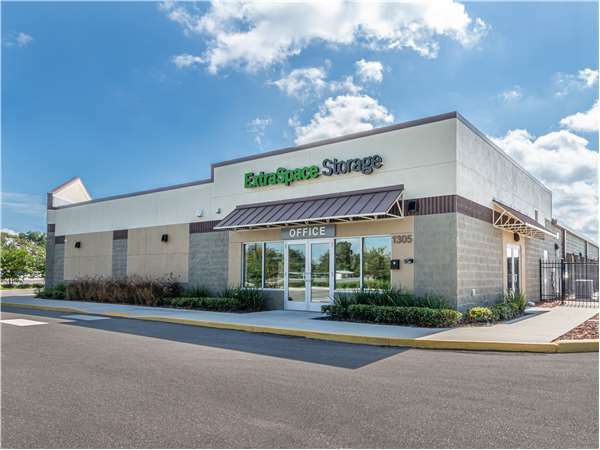 Located on Crawford Ave just off US-192, Extra Space Storage serves residents of St Cloud, Ashton, Narcoossee, Kissimmee, and more. Locals will recognize our facility near Starling Chevrolet Buick GMC. Extra Space Storage on Crawford Ave offers a wide range of storage units, exceptional security, climate-controlled storage, and drive-up access. We're your St Cloud self storage partner! With excellent security features like 24-hour video surveillance, security access to your floor only, and electronic gate access, you can store valuable items with peace of mind at Extra Space Storage. Protect sensitive items from extreme heat year-round at our St Cloud storage facility! Storage units with climate control maintain an environment between 55 and 80 degrees no matter the season. Want the ultimate self storage convenience? With drive-up access, you can pull a vehicle right up to your storage unit to unload and load items without hassle. Some of the larger drive-up units at Extra Space Storage can also be used for garage-like vehicle storage! When you choose Extra Space Storage, you can expect the best. From our well-maintained, secure facility to our friendly, professional team, we go above and beyond to provide high-quality self storage and exceptional customer service. Contact us today to reserve a storage unit in St Cloud!